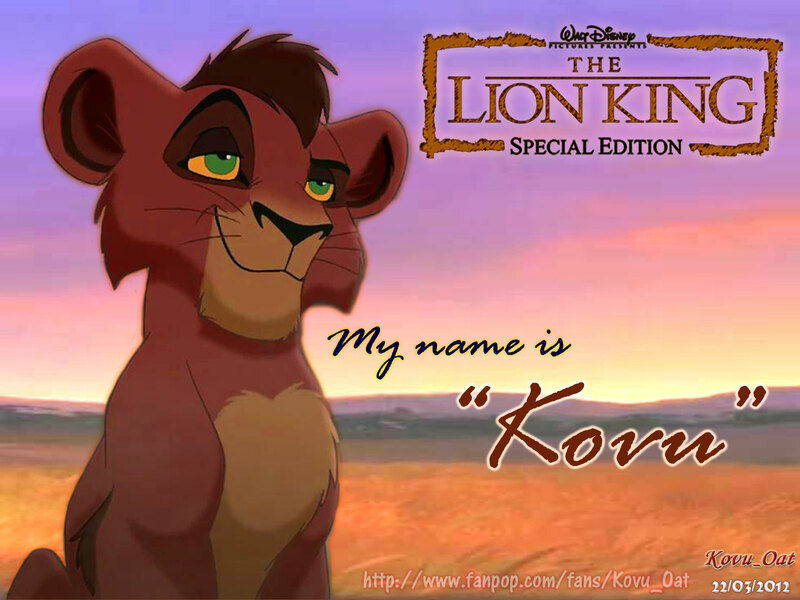 My name is KOVU ( TLK II kovu cub ). . HD Wallpaper and background images in the The Lion King 2:Simba's Pride club tagged: lion king 2 kovu cub. This The Lion King 2:Simba's Pride wallpaper might contain anime, comic book, manga, and cartoon.